The world of medicine needs a different alternative without causing harm to patients whilst also providing a platform for better healthcare from physicians. The speed of which digital science within healthcare is quickly progressing gives the presumption that an answer is not far away and what is ever more promising is that it is showing no signs of slowing down. Challenge Advisory is delighted to announce the launch of our Challenge Advisory’s digital twin healthcare workshop taking place in London, November 2019. Firstly the Digital twins initiative, which is a collective of over 200 partners from 29 different countries, which has the potential to receive 10 billion euros in funding over a period of ten years. With the aim to develop a revolutionary approach to healthcare based on detailed modeling systems, which would enable various treatment simulations to be run without any harm to the patient. They are planning on running the first pilot schemes soon, including one in the Internet of things (IOT) which will hopefully enable the project to be taken to the next level. One of the main aims in relation to oncology is to change and energize biomedical research and clinical practice via developing novel modeling, diagnostic and therapeutic technologies to not only increase patient well being but also save the ever-expanding healthcare budgets throughout Europe. They are also addressing one of the main dilemmas of production a data-driven digital twin via resourcing a lot of their research into data protection and how the project can ensure all patient data is governed to ensure full protection. The 12 Sigma company are one of the first companies to combine Artificial intelligence and deep learning to produce medical image diagnostics and in-depth medical data analysis. Deep learning software, simply put, tries to mimic the activity within human neurons via usage of algorithms inspired by the human brain to enable it to learn by experience and develop skills without human interference. 12Sigma uses deep learning networks to seek out numerous diseases whilst simultaneously providing insights into other areas such as early and rare disease detection and treatment planning and patient monitoring. 12sigmas deep learning product enables doctors to interpret challenging medical cases. In regards to cancer is believed to be able to detect tiny lesions as small as 0.01% of an image and achieve a 98.5% accuracy rating. This product is the first of its kind on the market. It is not only their deep learning platform that is revolutionary, but their medical data analysis platforms also perform outstandingly in precision medicine, genome sequencing and pathological analysis, which help aid in disease diagnostics, especially in cancer. They also provide a cloud platform in which doctors can interact and help them provide accurate and precise diagnosis, regardless of where the patient is located. Developmental updates have been slow from them, presumably due to privacy in an ever-expanding market. Regardless, the work they have done so far is groundbreaking and could only open more doors towards the development of a fully functioning digital twin. There are however some modeling systems in place that if you used in conjunction with one another, increases the likelihood of making a digital twin achievable. The first point of call could be the Virtual Physiological Human (VPH), which is currently under production at the Virtual Physiological Human Institute for Integrative Biomedical Research, in Belgium. They describe the VPH as “A worldwide community that aims to create validated in-silico models of human health and disease via the use of individualized physiology based computer simulations in all aspects of the prevention, diagnosis, prognostic assessment, and treatment of a disease and development of a biomedical product”. VPH has 3 main targets; (1) the digital patient (VPH for doctors); (2) in silico clinical trials (VPH for the biomedical and pharma industry; and (3) personal health forecasting (VPH for the patient/citizen). 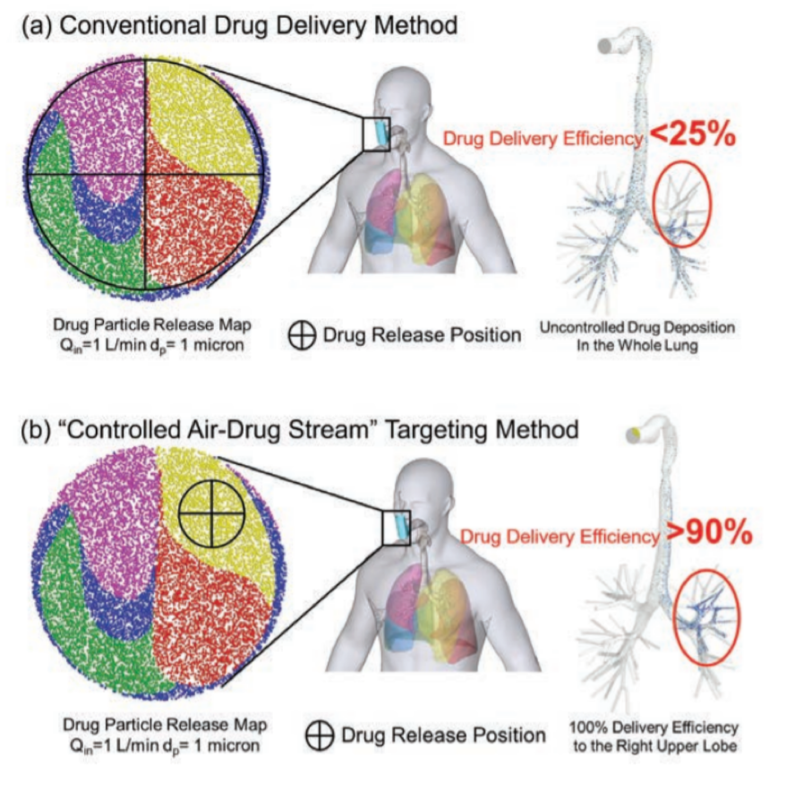 All 3 targets can be correlated back to Oncology to enable efficient visualization of the patient and determine specific outcomes, not only of pharmacological outcome but if patients are not responding to conventional treatments, then you could hypothetically simulate the outcome of a treatment via a clinical trial before putting them at any risk, which aids the argument towards the ethical implications of Digital twins. Another recently published modeling system used in cancer progression which will also be covered in detail during our virtual twin 2019 workshop, which could be hypothetically paired with a system such as VPH is the REVOLVER model, from the Institute of Cancer Research. It does not possess its own interface, and the script is run on the open access R statistical Software system. It works via multiple patient evolutionary models aiming to increase their tumor structural correlation to highlight hidden evolutionary patterns. Its validity is increased due to it being able to run both binary and CCF values within tree phylogeny to detect tumor evolution. Although still premature it is a very thorough indicator of tumor progression. If either model could be incorporated into a virtual Human then it is plausible that they could work in conjunction to help determine medical outcomes without any harm to the patient. Implementation of a database and a virtual twin could be the initial building blocks for the desired result of a fully fledged digital twin, there are however many issues in which a project like that should need to overcome. Firstly within oncology, there are numerous signalling pathways and cellular mechanisms, most of which are not still fully understood, if at all, which would make disease progression and outcome hard to validate, secondly you have to have as much data as possible in regards to the microbiome, pharmacogenetics and an extensive tissue bank database to be able to determine all outcomes. Which asks the question, are there too many human factors involved to create a complete one? Would modeling certain aspects be more efficient? For example, if you model the cardiovascular system of a patient and locate the tumor, could you then run successful simulations of drug trials and look at disease progression? Currently, digital twins of specific systems make more sense as there is already the foundations there to enable this. But with 200,000 cases of adverse drug reactions in the last year alone throughout Europe, half of which are attributed to cancer, and resistance of chemotherapeutic drugs more apparent. The world of medicine needs a different alternative without causing harm to patients whilst also providing a platform for better healthcare from physicians. The speed of which digital science within healthcare is quickly progressing gives the presumption that an answer is not far away and what is even more promising is that it is showing no signs of slowing down. See our workshop in digital twins healthcare. Need more information? Read our insights on the software that directly manufactures digital twins.